Make Money Blogging. These days everyone wants to Make money Online. The majority of individuals are succeeding in doing so by selecting one of the many methods available. I have recently written a post on How to Survive the Challenges of Blogging and Schooling and it helped many boys and girls getting some cash in their pockets. Today I selected another topic which will help them make money online, but unlike other methods, it is pure business. Students and teenagers can also make it their career if they want because It can earn them a huge monkey if all are steps followed correctly. This method is Blogging. Yes, you heard it right and you also may have seen many Profeasional Bloggers making thousands of dollars per month. And I am sure you also want to make the same amount of money. But to do so, you need a Good Blog and Then you need some quality traffic. I suppose you are a complete newbie and you don’t have any blog. So, let me explain it from the beginning. You just need to follow the below given steps to guide yourself to become a money making tycoon. First of all you need a Blog if you want to Make Money Blogging . You can read blogging tutorials at My Wap Tutors. These tips will help you create a Free blog because in the beginning paid blogs are not a good Idea. So, I will recommend you to create a Blog with Blogger. Also, don’t forget to Buy a Good Domain Name for your Blog. #2 Write Quality Blog posts. After creating a Blog you should focus on writing some unique and quality Articles. In the begining, you should not be a sort of Copy and Paste blogger, write meaningful and attractive contents. I suppose you have written some quality blog posts. Now, you need some traffic. To get traffic you need to Create High Authority backlinks which will boost your ranking in search resulting in good organic traffic. Now, After following steps you read online about SEO, you will get some traffic. But remember, it will not happen over night. You have to wait for some months to get decent traffic. But once you started getting traffic, then, you completed one step towards your dream “Make Money Blogging“. Now, You need some ways of monetizing your blog traffic. So, below is the list of all those methods which will help you Make Money while Blogging. You must have heard this name “Adsense”. It is the best way to Make income from your Blog as it provides high paying CPC Ads. If you have Quality traffic, then,you can earn thousands of dollars per month using Adsense on your blog. If you are an email follower at My Wap Tutors, then you'll have recieved a couple of Google Adsense ebooks. You can also use other Ad networks Like Media net, Adversal, Chitika, BuySellAds, etc. They don’t have High CPC like Adsense but you can make decent amount if you have traffics coming from the US or Canada. Affiliate System is another good way to Make money Blogging. There are many affiliate networks like Amazon, Ebay, Viglink, Skimlinks, clickbank, etc. who will pay you a decent amount as commission when you sell their product via your affiliate ID. There are many Companies who are willing to pay money to promote products. They pay Bloggers a huge amount of money to review their products. But remember these reviews should be honest. If you have Good Rankings, then, you can earn a lot via this method. You can also provide your own services like Blog consultant, SEO consultant to help newbies, but remember to only provide mastery services. In simple words, only provide those services which you mastered. For Example, If you got a clear idea about On Page SEO, then you can provide your services to help others in Optimizing their blogs and then charge some money for those services. You can also earn from Freelancing by showing your work on your blog and write Good about page on your Freelancing website’s Page and i’m sure people will attract and they will hire you . SO, for this service you have to work as a Freelancer here . If you have a bunch of Loyal Readers, then, you can write your own E-book and then sell it on your blog. But remember to make it unique and attractive. If it includes some quality content, then, your loyal readers will surely buy it. Final Words So, these are some ways to Build quality Blog and Make money Blogging. In the end I just wanna say don’t go for for money in the initial days of blogging. Just try to provide quality content and get some traffic. After you succeed, then ,you can later select any of the above mentioned monetizing methods and Make money Blogging. So, that’s it with the Article. If you have Any confusion, feel free to ask via comments. 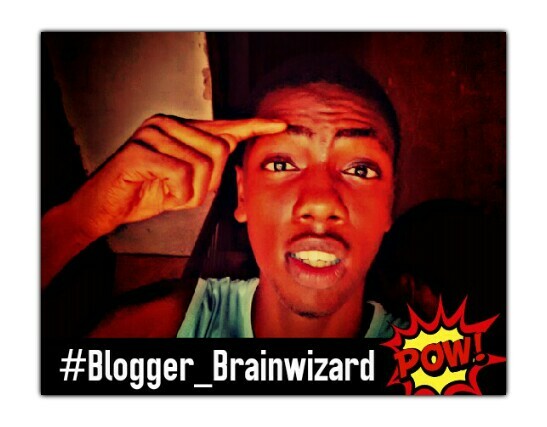 My name is Gozie Brain Izuka, and to all bloggers out there, i just want to make common sence; i hope i did. I Love to Write, and I Enjoy Music. I love to enjoy my fun life; A little bit of Sarcasm and A little bit of Geeky stuff.